Among a greenhouse full of sprouting and thriving plants and hanging baskets overflowing with carefully attended vines, Rita Randolph meticulously places a cutting of a plant into its own compartment of soil so that it will take root and grow. I am at Morris Nursery on accident, because a warm spring afternoon convinced me I could learn to keep a few plants alive. Her hands, dirt-stained and worn by more than thirty years in the garden, are a mark of her history with the give-and-take of the craft. Her parents opened Randolph’s Nursery in Jackson in 1947 just after World War II. During the war, her mother grew flowers to support the family while her father was enlisted. Rita began to participate in the family business as a teenager, after her father passed away. Piling into a Ford Pinto with her mother, the two drove to Florida to collect clippings of plants. It was the seventies and there was a house plant boom, so they set out to bring fresh variety to Jackson. This was the beginning of what she calls an addiction. She was enamored with the direct results of producing a living thing from the work of her hands—hence her reputation for propagation. Collecting rare plants and arranging a garden is one thing, but the process of propagation is Rita’s passion. From a cutting of two or three leaves from the tip of one plant, she grows another. The pinching and pruning causes the first to grow more fully. Within ten days to two weeks, a new plant has grown roots and is added to her collection, soon to be purchased for someone else’s garden. “What’s new?” is the question she hears season to season. An attentive gardener wants to find something they haven’t seen before, so every year Rita and her mother would drive around the country to collect new cuttings and plants to bring back to eager customers. “Traveling was my teacher,” the now nationally-known speaker and writer says. Weekends or vacations were spent traveling to botanical gardens and learning from horticulturists all over the country. Rich green vines and translucent elephant ears, bright red leaves with dark veins, ferns and a host of other plants line the walls of her greenhouse. Rita is familiar with the distinct characteristics of each one. As she works, she is eager to stop what she is doing to guide each shopper to the plant they need, or maybe introduce them to one they’ve never seen. She is well versed in which plants grow best in shade or sunlight and which plants grow well together, and you can’t leave a conversation with her without her knowledge spilling over. Throughout her career, she began to develop a philosophy about foliage. “Foliage first” is her advice to gardeners eager to fill their gardens with colorful flowers. She advises them to surround the blooms with the array of leafy plants that will contrast and make the colorful blooms stand out. “Flowers are fickle. They can be a bonus,” she says. In her travels, Rita found the fern now known as “Rita’s Gold,” and she instantly loved its fluorescent color. Growing it for a few years, she showed it in lectures, and eventually gave one to the famous professor Allan Ermitage at the University of Georgia. He named the plant and gave it the Classic Coty award for performance. He wrote about it in Fine Gardening, and Rita developed a trademark for it. Because of this attention, she began writing for trade publications. Under a bench at the Biltmore Estate gardens, Rita claimed a plant that was discarded as a freak of nature. She named it “shiny shoes” for its patent leather leaves. Before long, the Biltmore had commissioned her to grow two hundred of the plant for a dragonfly arrangement on the grounds. It took a long time for Rita to accrue the rare and unusual collection that eventually drew people to her land from out of state. It is her attentiveness to the people and living things around her that made her greenhouse a thriving enterprise. September 2012 marked the bittersweet end of Randolph’s Greenhouse, when several near misses from tornadoes were followed by a fire that made the business financially unsustainable. With an outpouring of support from customers who have been shopping long enough for Rita to know their children, everything down to stones signed from her garden was sold. 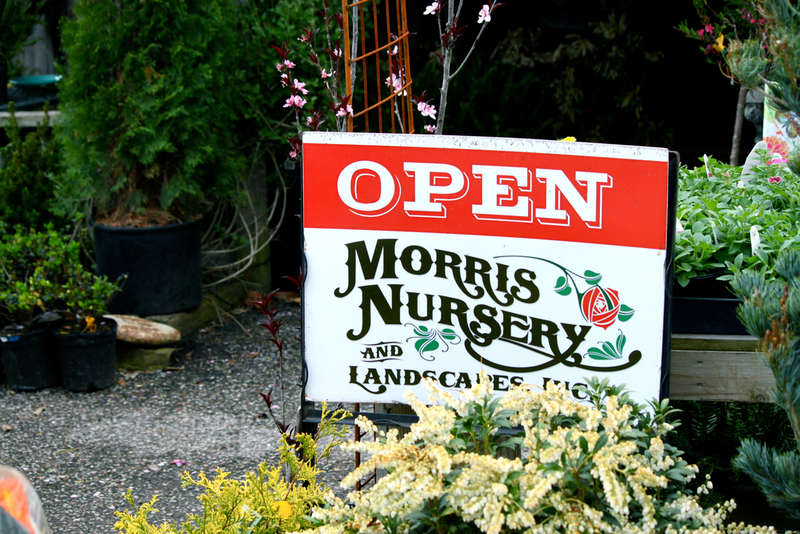 When the greenhouse closed, Rita took a year off and then began working at Morris Nursery after she was offered a job, expanding the landscaping business into one with various plants for indoor and outdoor gardeners to purchase. She has taken time from her afternoon to tell me her story, and I have earned a new love for a few vines now growing on my windowsill. I remark that I feel better after sitting surrounded by the vibrant greens, smelling the damp soil. Rita says she calls it “hort therapy” because just walking and looking at the plants is refreshing. She has found that something about seeing how quickly plants grow and participating in that brings people joy. The customers she has served have been diverse, and she is amazed that something as simple as a plant can bring a moment of friendship between two completely different people. She invites me to come back anytime, and I know I will. “Do you still love what you do?” I ask, curiously. Courtney Searcy likes to design things, take pictures, and write words that tell good stories about their community. Jackson became home after she graduated from Union University in 2014, where she studied Graphic Design and Journalism. One-half of Souvenir Design Company, she currently works as a freelance graphic designer. She thinks the best things in life are porch swings, brunch, art, music, and friends to share it all with. Photography by Courtney Searcy and Katie Howerton.